To be entirely honest, before my son came along, my knowledge of children's speech development was pretty basic. I didn't realize the ability to speak was not the only area of speech that mattered. I didn't realize just how complex speech and communication could be. When my son was two years old, our journey with autism began. Gone were our carefree days of fun and giggles... we'd entered a world of therapists and terminology that would soon become second nature. And my knowledge of speech? It grew in leaps and bounds. I learned that while Shaun could script entire movies word for word- that speech he had was in no way functional. He had words, but he lacked communication. What most children were able to pick up by observing the speech of those around them, my son had to be taught through speech therapy. We worked many, many hours with him... flash cards, learning through play, repetition. Perhaps one of the biggest struggles was answering questions. To this day, at 11 years old I can still see in his face as he works out in his mind what is being asked of him. For Shaun, we modeled a lot of questions, then modeled how he was to respond. It was a slow process but over time progress was made. He continued to work on the WH- questions for many years, until he finally 'graduated' out of speech therapy in the 4th grade. 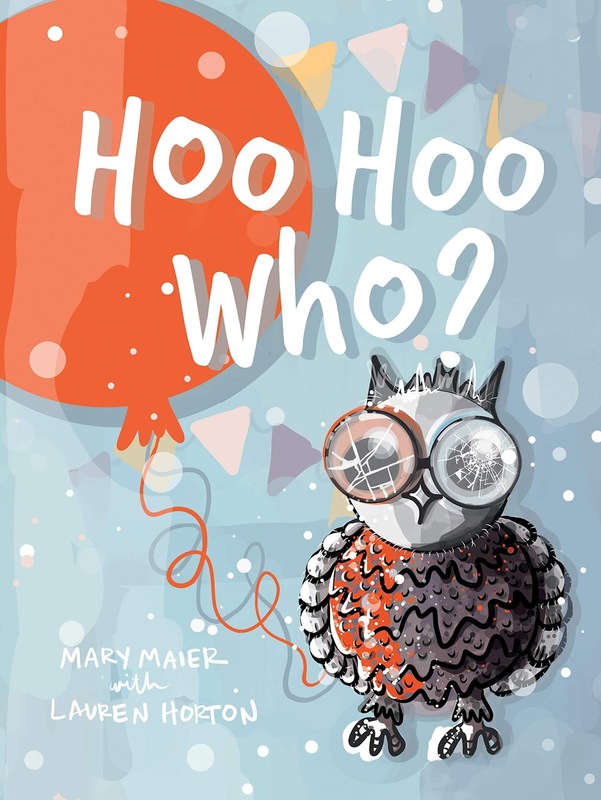 About the Authors: Mary Maier graduated from Miami University, where she met her husband, with a degree in Art Education. She is an avid painter with a huge imagination; an important quality when raising two wild boys. She resides in Louisville, KY. Mary has previous experience owning a publishing company for 25+ years solely based on books about the card game bridge. Where oh where was this type of book when my son was little!? For Shaun (also being hyperlexic), books were one of our greatest learning tools. He learned better by reading than he did with verbal prompts. A book like this that highlighted those skills that we were working on in such a fun and kid friendly way? It would have been the perfect teaching tool for him, one that I could not find at that time! Likewise, I know it will be fantastic for other kids who need that extra help too. In my experience, kids learn best when they don't realize they are learning--- through play, through fun stories... just like this one! This goes for all kids--- whether there are speech delays or not--- encouraging appropriate communication is a must for all children. This book is not just a book for kids who need help with speech... but for EVERY child! It is a book that reminds us as parents that it's not just about a word count- how many words can my child say? But about asking those questions, encouraging kids to think about and respond appropriately. It is going to be a great addition to your home (or classroom) library, regardless of your child's development. Want to get started? 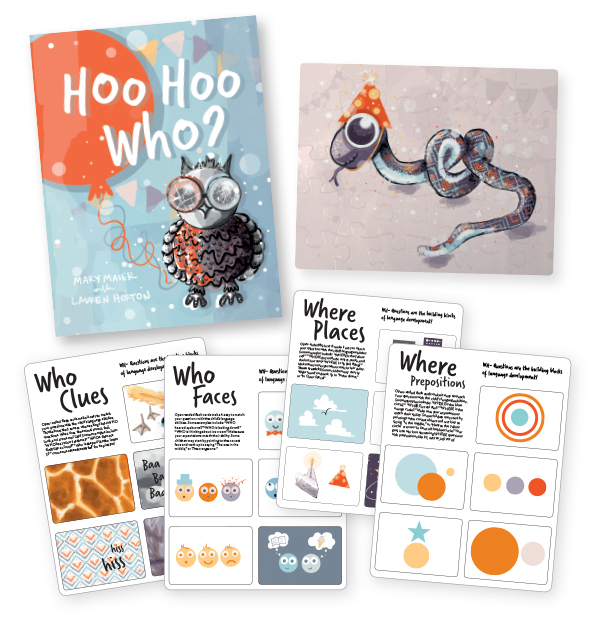 Enjoy these free downloadable 'Who' and 'Where' flashcards to practice with your children. I would love to have this book to read to my granddaughter. We bought Pop the Pig for our grandkids already, but I know they would love the other games too. I like to have fun with them also! My son is a special education teacher. He would love to have this book for his classroom.